When I was young I had a very short experience at the Dayton Art Institute. I attended for a few months in a class for “gifted” children. I was amazed at the talent of the people around me and to me their offerings dwarfed any talents I retained. I did not realize until I was older that everyone has a distinct talent and vision which remain unique. Some will see the artists vision, some won’t. I have been working with production tooling, wood and metal in one way or another most of my life. 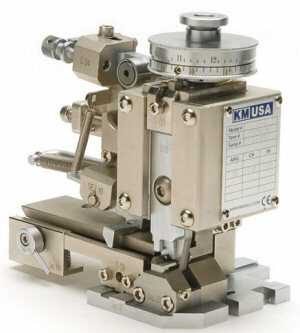 As a toolmaker, I used to take blank pieces of steel to a vertical mill to begin the process. I made tools and tool components all the way through heat treat, black oxide and final assembly. There were many intricate pieces for presses and pneumatic machines. The tolerance on many parts had to be within one thousandth of an inch. Both artisans that create a physical piece and the performing arts have been involved in the tooling that has shaped me. Perhaps this personifies a skewed vision as I see art and beauty in just about everything. A bridge (like the one below) is a wonderful example of cold steel and mechanics adapting to and respecting natural surroundings. The bridge will flex with wind, load or flood. It will stiffen and moan in sub zero temperatures while bearing the load of tons of ice and snow. The bridge provides a path to to the other side while providing an extra aesthetic to the surrounding beauty for hundreds of years. A bridge like this “lives and breathes” in some perspective. I try to incorporate this type of mechanical art in all my pieces. I work a piece in my hands shaping and grinding with small stones and abrasives for up to 10 hours straight. Each and every piece has a particular flow that was dictated to me by the metal, I just shaped it via path of least resistance. There is a madness to my methods and I hope it comes through at least a little. As I mentioned elsewhere, it’s all about what turns you on but, when you are going to wear (or share) an item, should it not be as special as possible? I guarantee that EACH AND EVERY ONE of my items is made with positive energy, love and great care. This Suspension Bridge, located in Youngstown/Boardman Ohio, was erected in 1895, and spans Mill Creek connecting the east and west sides of the park. Charles Fowler of the Youngstown Bridge Co. designed the structure. 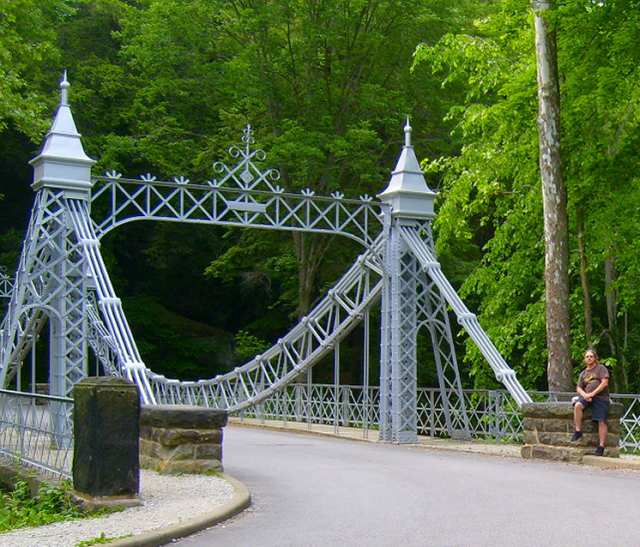 The Suspension Bridge is the oldest bridge in Mill Creek Park and measures 86 feet long and 32 feet wide and was listed on the National Register of Historic Places in 1976. It has been called the Silver Bridge. By whatever name it is known, the Suspension Bridge with its lacy arches and soaring spires has provided romantic imagery for countless artists and photographers over the years. You have to see this in Person. The large straight pieces you see on the sides, are linked together with appx 4″ diameter “pins”. The whole length is a huge flexing chain. Very cool.